Magog, QC, April 5, 2017 – Camso, formerly Camoplast Solideal, will be joining its partner Agro Maquinas to promote their new Conversion Track Systems (CTS) for combines at the Agrishow in Sao Paulo, Brazil from May 1 to 5. 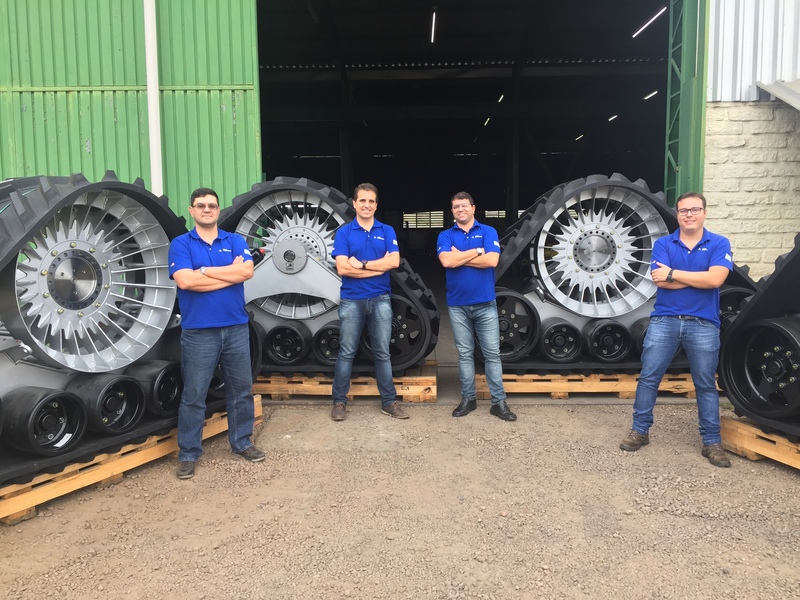 In 2016, Camso signed an agreement with agricultural equipment manufacturer Agro Maquinas to produce Conversion Track Systems (CTS) for high-horsepower farm equipment in Brazil. As one of the largest agricultural exporter in the world, Brazil is an important market for these systems. Agro Maquinas, with its 35 years of experience in the agricultural market, its production capacities and established dealer and distribution network, was a perfect fit for bringing Camso’s CTS products into the Latin American market. “Camso CTS is a bolt-on solution that significantly reduces ground pressure, thereby reducing field damage and improving crop yields as a result,” says Martin Lunkenbein, Service and Aftermarket Sales Executive Director for Agriculture at Camso. 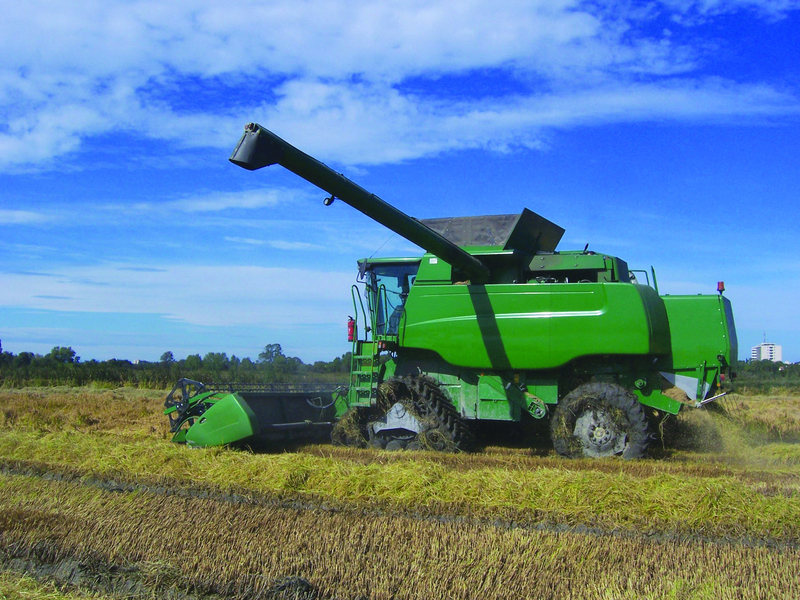 “It does all this while providing the operator with the strength, reliability and durability that Camso built its reputation on.” Since December 2016, the Canadian technology has been manufactured and assembled at the Agro Maquinas facility in Eldorado do Sul and thus distributed throughout Latin America. With local manufacture and local product support, Camso is ready to meet OEMs’ and dealers’ requirements in Brazil for rubber track solutions. Visitors will have an opportunity to see and learn more about the Camso CTS products at the Agrishow, to be held May 1 through 5 at Ribeirao Preto in Sao Paulo (booth F8B1). Camso engineers, Sales and Service Support people will be available to discuss the advantages of Conversion Tracks Systems and help provide the appropriate mobility solutions to deliver maximum yields. 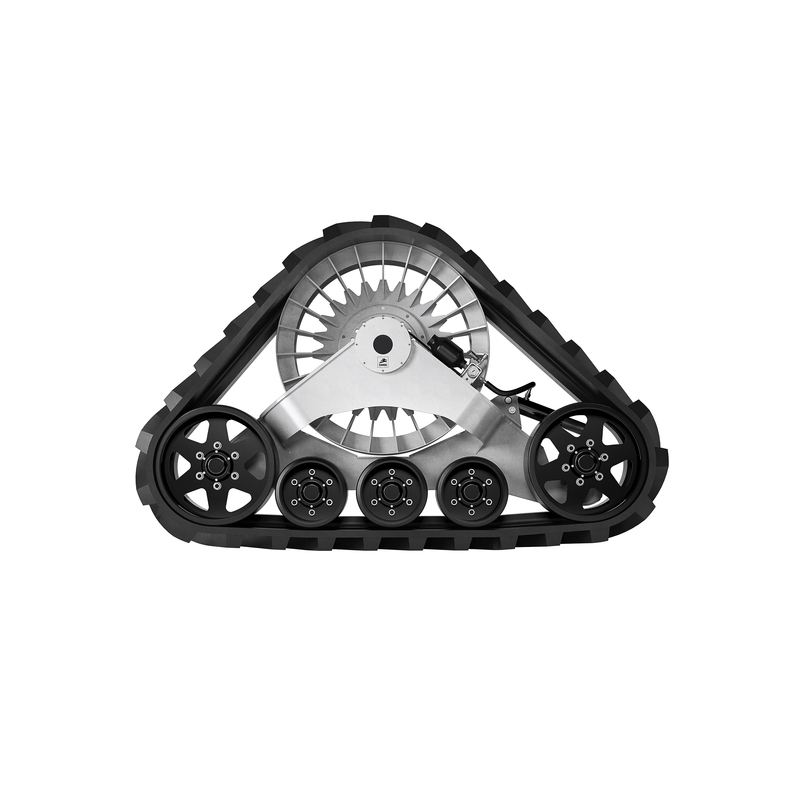 Camso, the Road Free company, is a world leader in the design, manufacture, and distribution of off-road tires, wheels, rubber tracks and undercarriage systems to serve the material handling, construction, agricultural and powersports industries. It employs more than 7,500 dedicated employees who put 100% of their effort into 11% of the global tire and track market—the off-the-road market. It operates advanced R&D centres and manufacturing plants in North and South America, Europe and Asia. Camso supplies its products to leading original equipment manufacturers (OEM) under the names Camso and Solideal and distributes its products in the replacement market through its global distribution network.